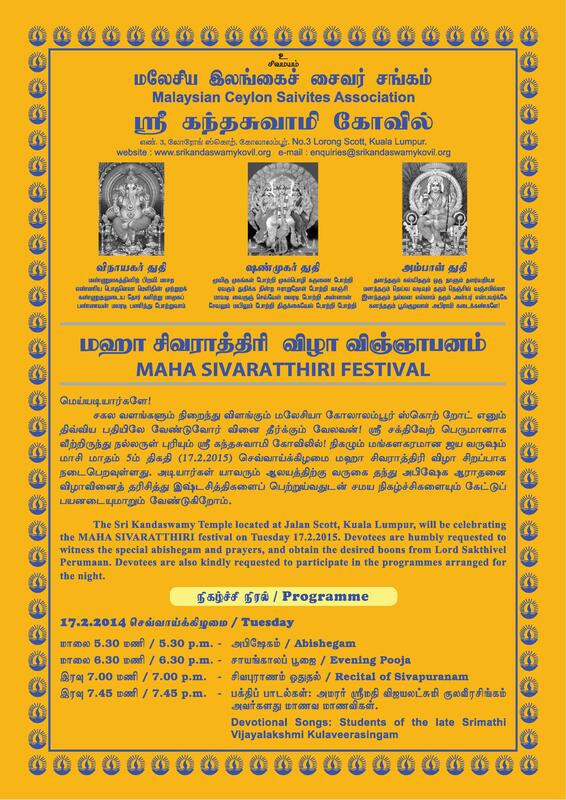 The Sri Kandaswamy Temple located at Jalan Scott will be celebrating the Maha Sivaratthiri Festival on Tuesday, 17th February 2015. 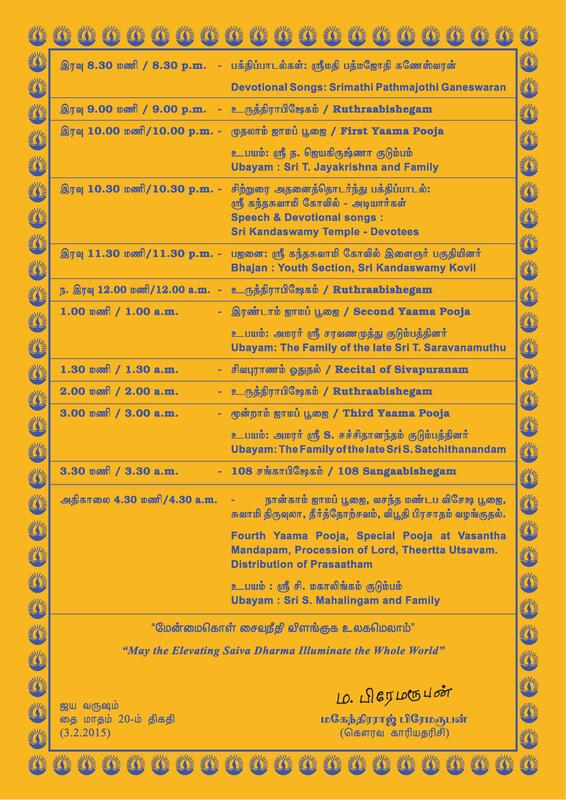 Devotees are humbly invited to witness the special abishegam and prayers and obtain the desired boons from Lord Sakthivel Perumaan. Devotees are also invited to participate in the programmes arranged for the night.